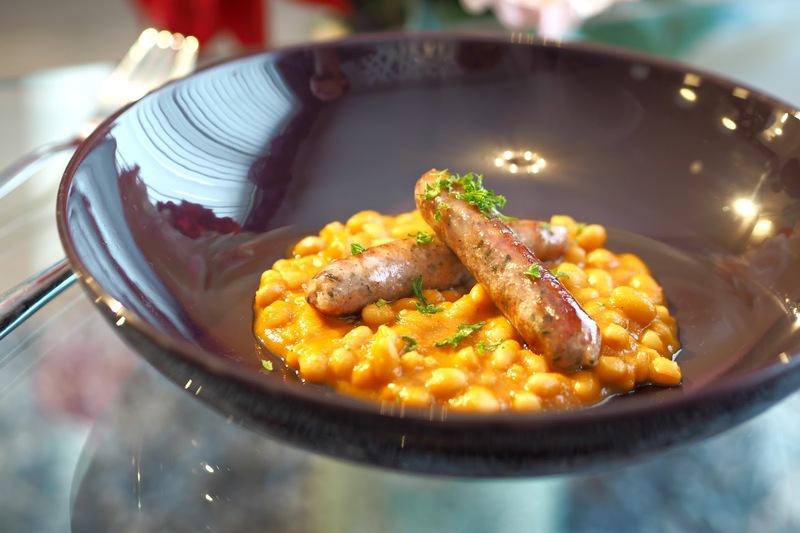 Imagine waking up in the morning and being treated to a four course breakfast, prepared for you by a private chef...all in the comfort of your own home. Wrong. It happened to me last week and if you're the lucky winner of my latest giveaway, it could be happening for you too. All courtesy of the lovely people at Pom Wonderful. 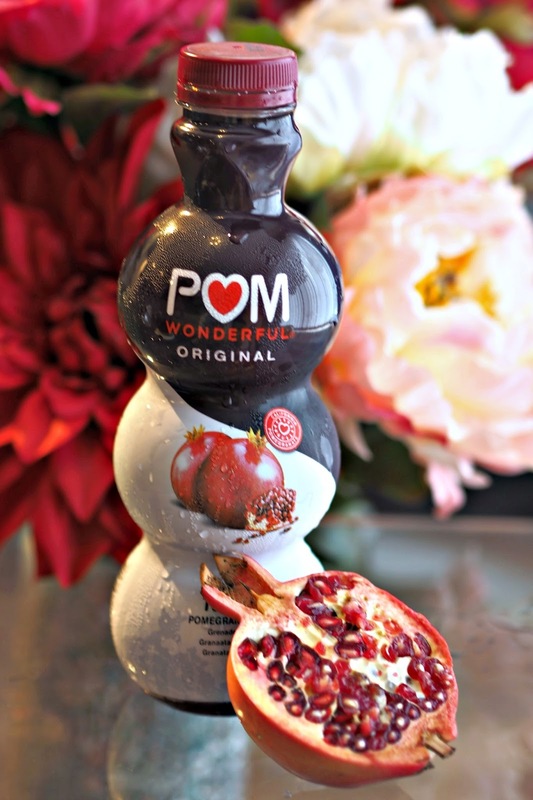 Pom Wonderful is a natural fruit juice made from 100% pomegranate juice and contains a whole host of goodness, making it the perfect way to set up your morning. It's packed with polyphenol antioxidants, vitamin C, vitamin K (for healthy bones), fibre, potassium, copper, iron, calcium - and absolutely NO nasties. Plus it takes good too. Not too sweet or bitter - just a really nice sharp flavour. 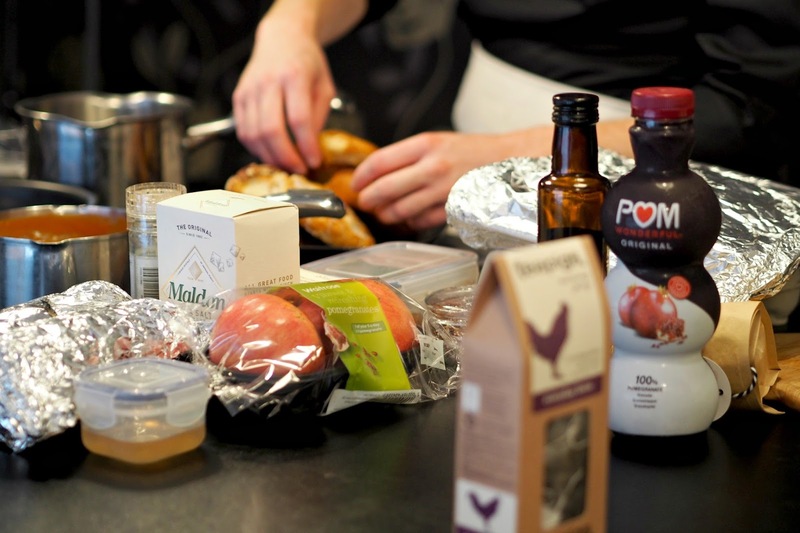 In order to let me try it, the people at POM Wonderful organised for a private chef from La Belle Assiette to come round to my house to cook us breakfast. 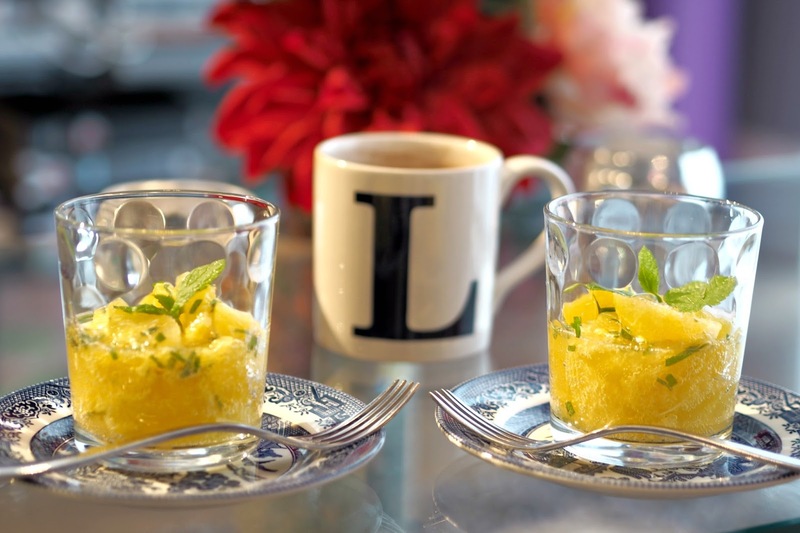 Our chef Christopher arrived promptly in the morning, ingredients and cooking equipment in toe and set up shop in my cosy kitchen explaining to Tom and I all about La Belle Assiette, the catering company which he works for. It's a clever concept. 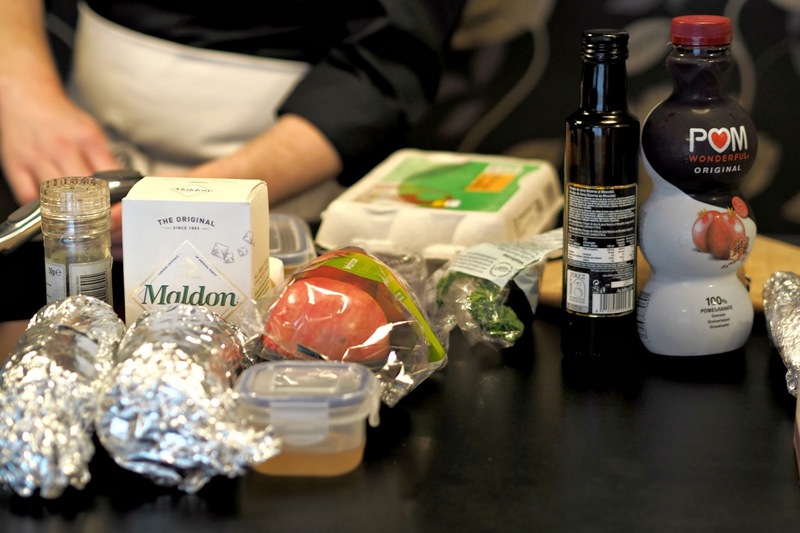 You book a chef online who puts together a menu, buys all the ingredients then comes to your home to prepare and serve the dishes before leaving - after doing the washing up. It's a great idea for dinner parties or birthdays, allowing you to spend more time with your guests rather than being flustered in the kitchen. Plus it also works out more cost effective than heading to expensive restaurants! Christopher worked away to prepare the meal, while Tom and I relaxed and chatted in the comfort of my living room. It's a relaxed atmosphere and it's no way near as uncomfortable as you might imagine having a stranger cooking in your home to be! And the food? Oh the food is INCREDIBLE. First up was a clever twist on Bucks Fizz. As much like a starter as it is an aperitif. 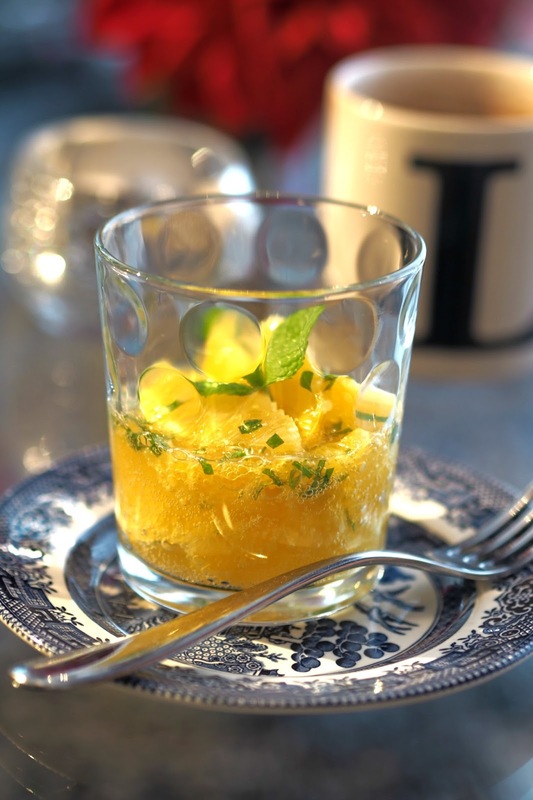 Made by steeping orange slices in white wine and mint then adding a little extra fizz, with the help of CO2 and a whipped cream canister - inventive right? 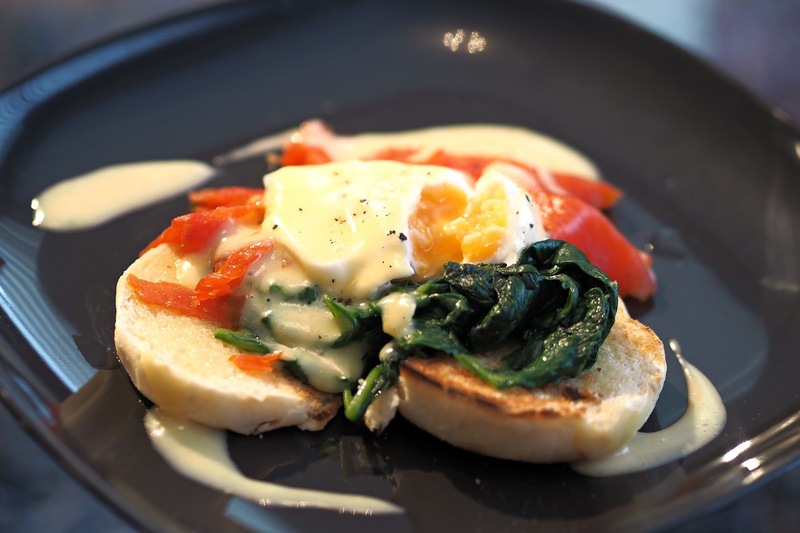 No breakfast is complete without eggs so the second course of Eggs Benedict was leaped up by Tom. 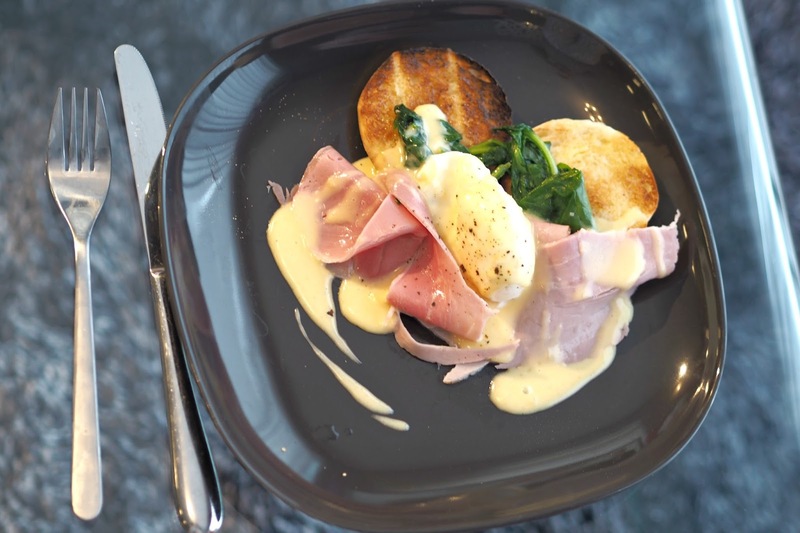 A generous portion of ham and spinach on soft English muffins and topped with a rich and indulgent hollandaise sauce. I went for the eggs royale, made with home-smoked salmon, the same silky, delicious hollandaise and a good crack of black pepper. The food kept coming. 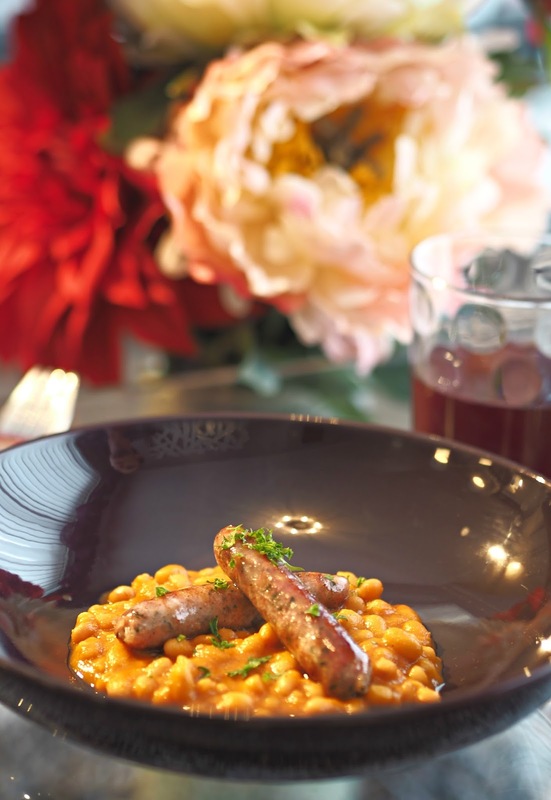 This time, sausages piled on top of home-made baked beans to gently ease us into a food coma. So so delicious. But wait....there's more. 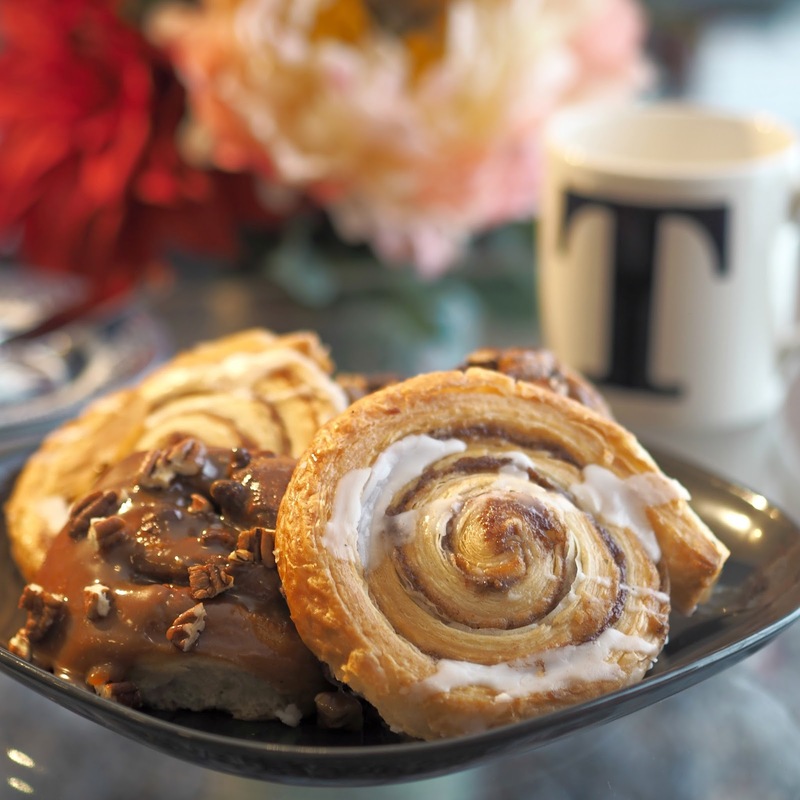 Yep - homemade pastries: cinnamon swirls and toffee pecan brioche no less. Yep. 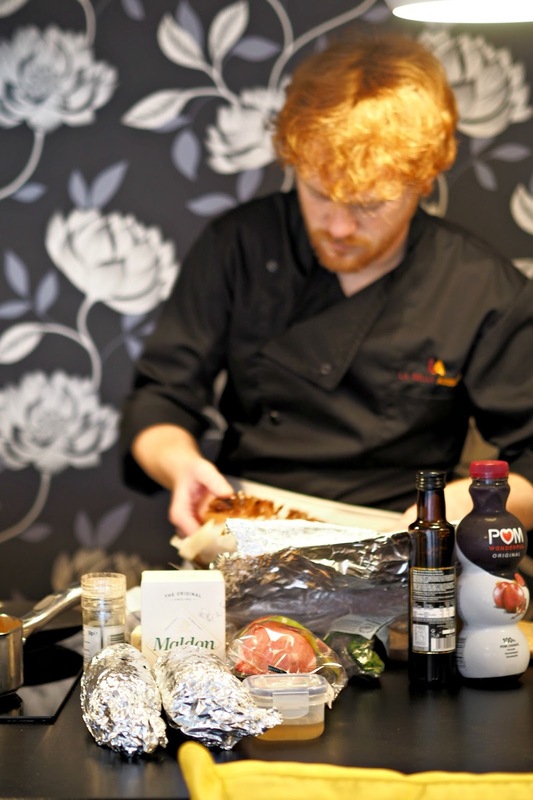 I've teamed up with Pom Wonderful to offer one of you, my lovely readers the chance to WIN a private dining experience of your own. Simply complete the Rafflecopter entry below and you could have a private chef visit YOUR house to make breakfast for two people! Don't say I don't treat you!